Policy Genius: What is a Backdoor Roth IRA? What is a backdoor Roth IRA and do I qualify? Your twenties are a time of radical change. It’s when you graduate college, get your first “real” paycheck, and have to start planning for the future. 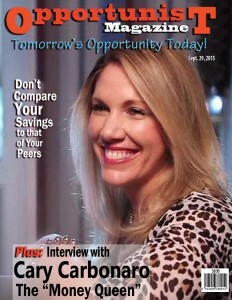 Cary Carbonaro provides one piece of financial advice that you will appreciate for the rest of your life. I was earning $500,000 a year at age 30, but I felt like I wasn’t making much money because I was in an established industry without big stock options. It was conservative and I was conservative. It didn’t fulfill me. I felt like I wasn’t making a good difference in anyone’s life. So I quit that job, moved to Central Florida and started my own financial advisory business. Everyone thought I was crazy. Who walks away from an amazing job like the one I had? I had to reinvent myself as an entrepreneur. It took me a long time to build my firm, one client at a time, from scratch. I went from $500,000 income a year to almost zero the next. It challenged me personally, professionally and emotionally. From preparing for retirement to building credit, Cary Carbonaro explains how nonworking parents can protect their finances. While there’s a lot to be said on the topic of personal finance, most of the time smart money management comes down to following simple principles. By tweaking habits to develop money-friendly routines, your savings can add up long term. To find quick and simple ways to improve your financial health, GOBankingRates challenged finance experts to share their best money tips in under a minute. 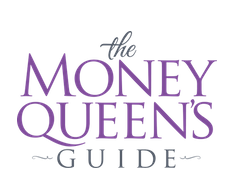 Check out the best pieces of advice from the #MoneyMinute Video Challenge.